We previously told you how we loved Mushroom kit, allowing you to grow edible mushrooms in your own home. The startup’s newest product,, a self-sustaining aquaponic garden, takes growing food in your home a step further. Fresh herbs and lettuces with no watering or fertilizing, plus a pet fish? Yes Please! 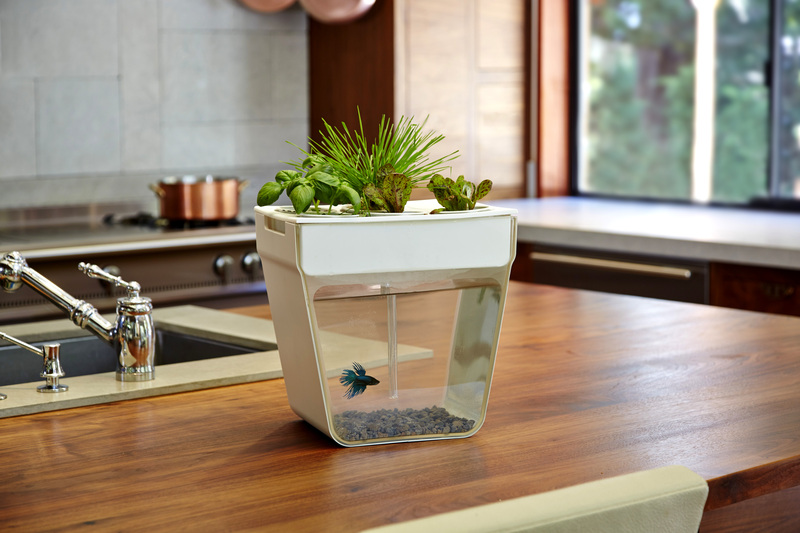 is basically a little garden that sits atop a fish tank. The tank is designed to essentially close the waste loop—the waste generated by the fish is filtered to the plants for fertilization, and the clean water trickles back down to the fish. 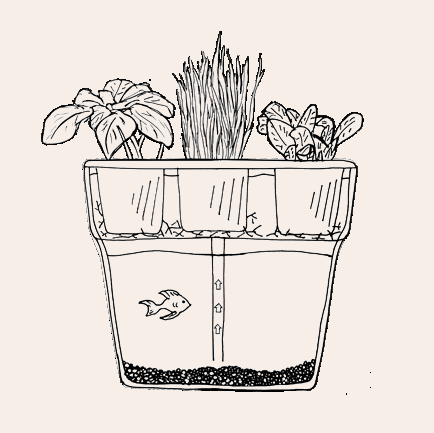 So watering or fertilizing the plant isn’t necessary, plus no cleaning icky fish tanks. This is a great little gift for food- or garden-loving friends and family, or anyone that jokes they can’t even keep a plant or fish alive; as long as you feed the fish, all is well. It’s a neat little thing to have around, and it really does work—we tested it. Plants grow in colander-like baskets filled with shale rocks. The baskets sit in the water/fish-made fertilizer and roots grow own into the rocks. Sit the tank on a sunny windowsill and you can grow herbs and lettuces. “The best part about it is all of this is happening without any soil or chemical fertilizers. The plants are growing just on rocks and all the nutrients are coming from the fish,” -co-founder Nikhil Arora said in their video. Arora and his business partner, Alejandro Valez, have an interesting story. Originally aiming to be investment bankers, the two turned down jobs in the field and took a chance by concentrating instead on creating products for household sustainable food production. Learn more about Aquafarm by watching the video or visit their website . Cooking 101 Is It Safe for Dogs to Eat Watermelon? © 2016 58wang.com is part of the Time Inc. Food Collection and the Time Inc. Lifestyle Network. All Rights Reserved. Use of this site constitutes acceptance of our and ().